When I was 12, I picked up Wrestlemania 4. It was on sale at the video store and I got it along with a few other WWF tapes for about $20. They all came in those huge boxes. The ones that are extra big so they could have more area to put the art on and draw your attention. I remember watching the Don "The Rock" Muraco match and seeing Superstar Billy Graham for the first time. 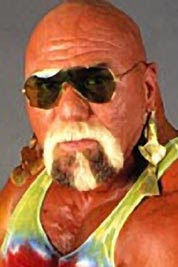 Upon seeing the Superstar, I wondered, "Who the hell is this guy trying to rip off Jesse Ventura and Hulk Hogan? Man was I wrong. Last Christmas I got an huge addition to my WWE DVD collection. These are like the only thing I ask for at Christmas, and I quickly had over half of them watched. I was on my way to having my whole year's worth of videos watched by January. I knew I had to do something, I had to stop right away. One of the videos I got was Superstar Bill Graham's documentary, and it came with his autobiography, entitled Tangled Ropes. I told myself I absolutely could not watch any more of the DVDs until I finished reading the Superstar's book. I really hate reading. I honestly don't read anything besides stuff I see on the internet, and that is mostly strength forums. Sure, I read Bischoff's book last year, but I read that over a vacation. During a real week, I never open a book, so it took me forever to read Tangled Ropes. I started it a few times, but it was very difficult wading through his born again Christian section at the beginning. Well, this past week, I was on vacation again and decided to work my way through this book. What a story brother! Since watching Wrestlemania 4 all those years ago, I did actually find out that Superstar was the champion between Bruno Sammartino and Bob Bachlund, but I had no idea what a profound influence the Superstar Bill Graham has had on wrestling. This man basically spawned the career of Jesse Ventura and Hulk Hogan both. If the Superstar was never around, we might never have had Hulkamania! I truly suggest everyone who enjoys documentaries and autobiographies of wrestlers check out both this book and the DVD. Superstar is not a perfect human being. He is full of faults and made a lot of mistakes in his life, similar to Jake Roberts in his drug problems, and similar to the Ultimate Warrior in his poor business decisions. But Superstars story seems to be one with a happy ending. Although Superstar may have done damage to his wrestling career on his own, he seems to be making the best of his new life by trying to help others. After receiving a liver by donation, he is now trying to spread the word about organ donation. Put this DVD and book set on your list of items to get - I am sure you will enjoy it. And if you have time, check out this video from the Superstar himself, where he discusses his efforts around organ donation. Thanks for checking out the PUNDIT.